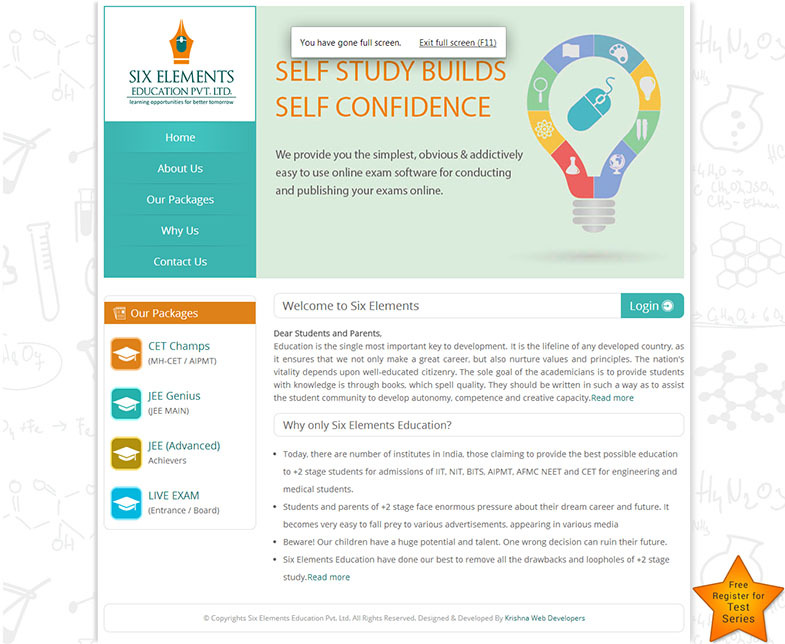 This Project is about providing end to end educational support solution that is online test series. Scope of project is very huge that is from registration of students to online score card immediately after test.Even though admin can create question and test as well as test package by very simple customize way. Here admin will sell their test packages to registered students and students can appear for exam and will get score card after test.